Close to Nampo-dong and Jagalchi Market ! Busan landmark is Nampo-dong and a Jagalchi market! It is the must visit area in Busn for traveller even domestic. 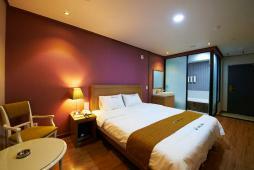 The Noah hotel is located near the Nampo-dong and Jagalchi market and it is newly opened hotel. The hotel rooms are 50 single , double, twin and a variety of rooms. Each room has a bathrooms as well as basic facilites. Facilities include a business room, a restaurant to drink coffee. It will be very convenience for travelers. The Hotel Noah can fully enjoy the friendly hotel, so please use it !